Happy Monday! 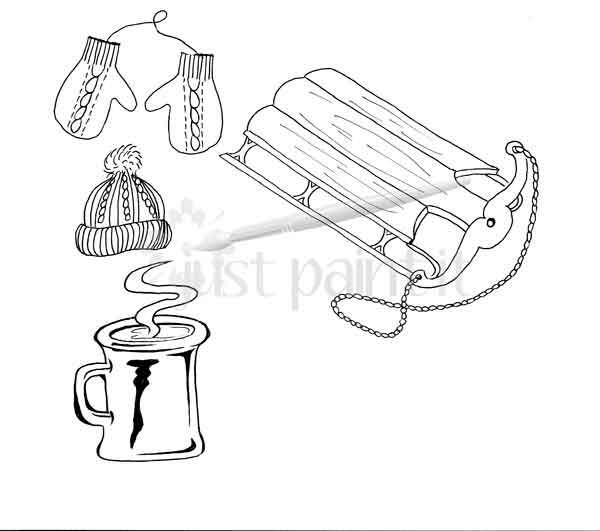 Today I’m over at The Graphics Fairy sharing my Hand Drawn Winter Elements! I’m always excited to see what the fairies over there do with my simple doodles and I thought you might like to see the transformation too. I start by sketching in pencil on plain ol’ copy paper, then go over it with Micron Prisma Pens. If you’re thinking that my sketches turn out perfectly, you’re wrong. After I ‘ink’ the sketches, I scan them into my computer and then clean them up in Photoshop Elements. That has been a huge learning curve and I still have loads to learn, believe me. Any pencil mark or eraser dust shows up on the scan so the doodles need to be cleaned up. If you’ve never used PSE, I’ll be sharing some basic tutorials in 2016. Basic, okay? One of the biggest timesavers I’ve learned is how to draw half of something and then flip it to the other side in PSE and join the two pieces together to make a wreath. Seriously, I used to draw the entire wreath! 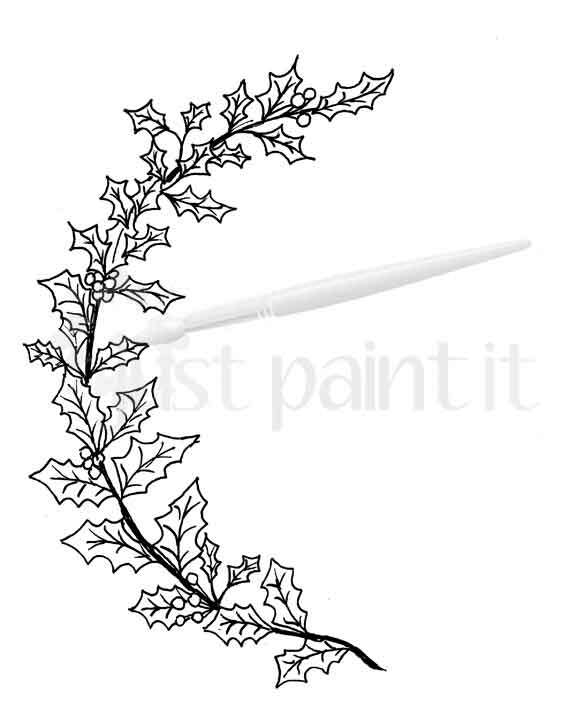 I could actually just draw one stem and make a wreath out of just that but drawing an entire side gives more detail and interest. Plus . . . I just like doodling. So, that’s my side of things – sketching, inking, scan, then clean up and send it over to The Graphics Fairy. 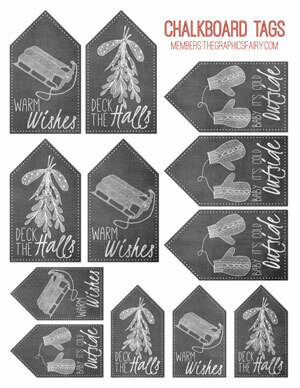 They sprinkle their fairy dust on my simple l’il doodles and create awesomeness, like these chalkboard tags. 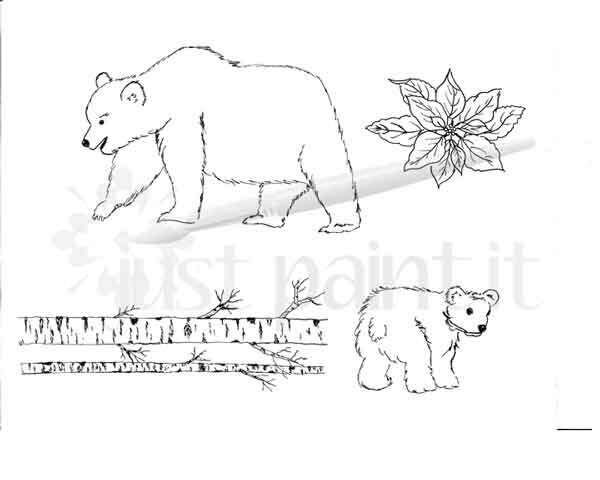 And some fabulous coloring pages! 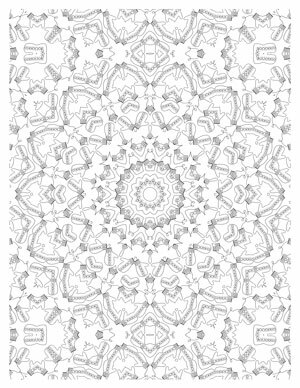 At first I didn’t think these kaleidoscope coloring pages were from my doodles until I looked closely. 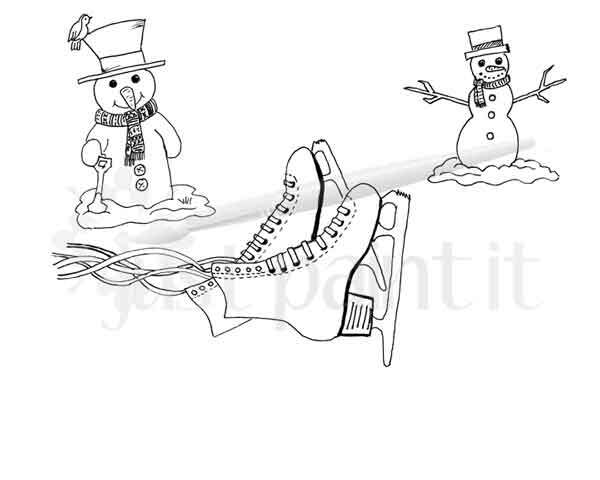 Can you tell which doodle they used? Head on over to The Graphics Fairy today to see all the wonderful graphics they offer in this Kit. Yes, it’s a Membership Kit but well worth the money, in my opinion. For a small monthly fee you get exclusive weekly Kits – like this one – plus Photoshop tutorials! If you’re creative at all, their membership will have something for you. I just joined and I’m so excited with all of the goodies I get. I’m so excited for 2016. Mainly because I’m depression-free and back to working full time. But also because my work for The Graphics Fairy has inspired me to do more doodles, watercolors and clipart. This has been a lifelong dream, to spend my days drawing and/or painting. Every morning I can’t wait to get to work! I know, lucky me. And I am seriously blessed, I realize that. Working for The Graphics Fairy is one of my greatest blessings and they inspire me every month to learn more, grow more and try new things more. Come by and see me today over at TGF okay? 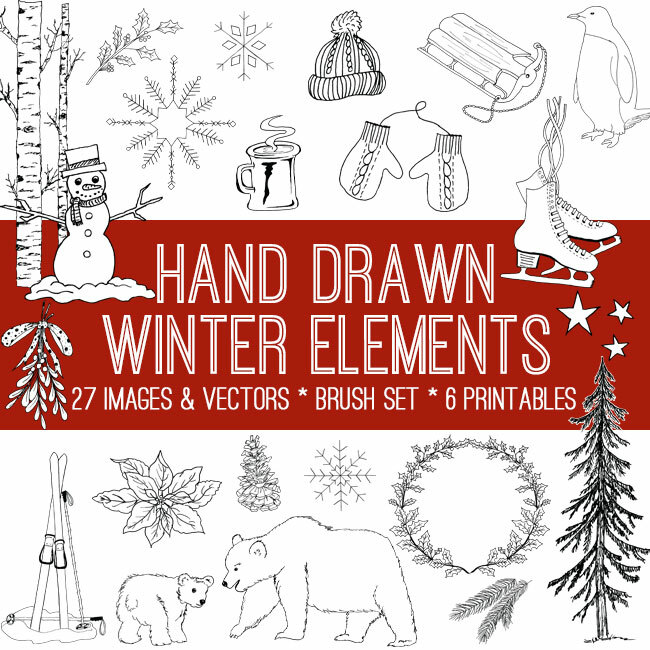 I’m very excited about sharing these amazing Hand Drawn Winter Elements with you. Oh, you’ve been so busy and I’m thrilled for you that the “fog” has lifted! The last few years have been just one huge trauma after another and I’m so glad that the sun is shining brightly again. Your doodles are truly special and I love the little bears especially. Have a Happy Holiday season and a very Merry Christmas, Colleen! You are always so sweet, Kris, I can’t tell you what your comments mean to me. Yes, I’m doing much better. Still trying to get used to all this “freedom” after caregiving for what seems like forever. Have a wonderful holiday season and a merry, merry Christmas!